v1.0 download link added. It's been an honour. 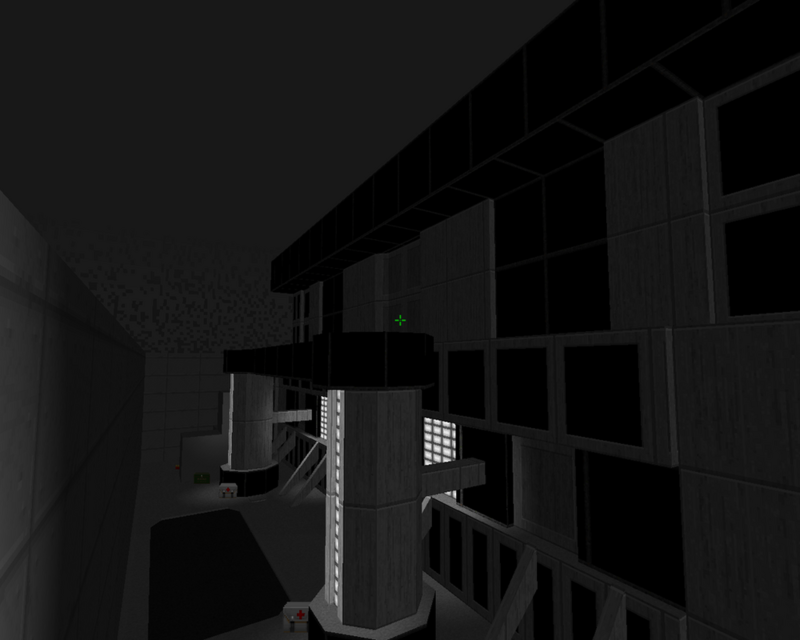 Added joe-ilya's entry, "Processing Area." pre-release megawad updated, details here. Deadline extended, to be determined by pfl. 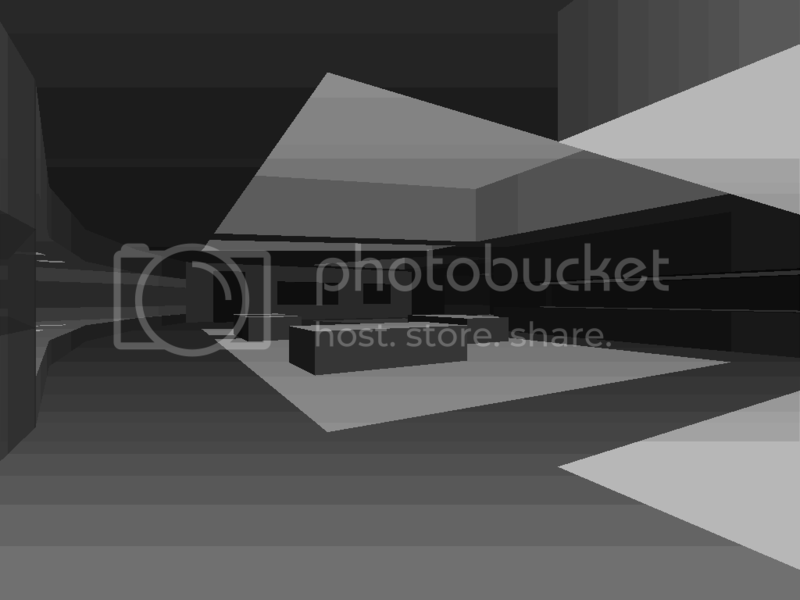 Added Cacowad's pending entry, "Monochromatic Affinity." Added Jaws in Space's 4th entry, "Brown Room." 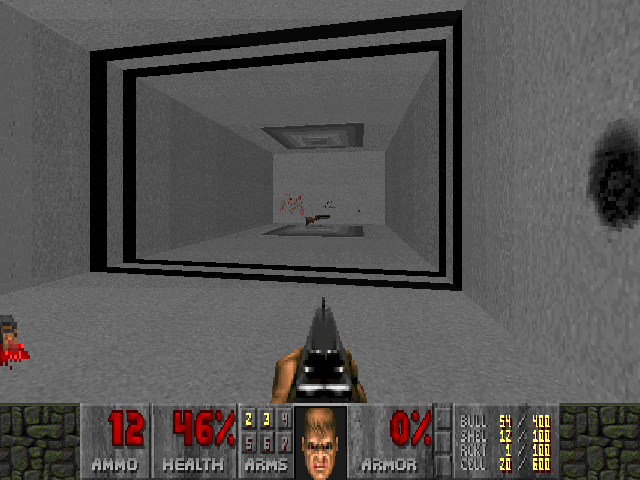 Added gggmork's penting entry, "bigCyberFloor." Moved Obsidian's "Good and Evil, Black and White" from pending the completed. Oops! added Phendrena's entry, "Monochromatic Nightmare." updated the WIP link to Obsidian's pending entry, "Good and Evil, Black and White." added FractalXX's 3rd entry, "Tessel Dose." updated the WIP link to Phendrena's pending entry, "Monochromatic Nightmare." updated the link to FractalXX's 3rd entry, "Tessel Dose." added Jaw's in Space's pending entry, "unnamed city." 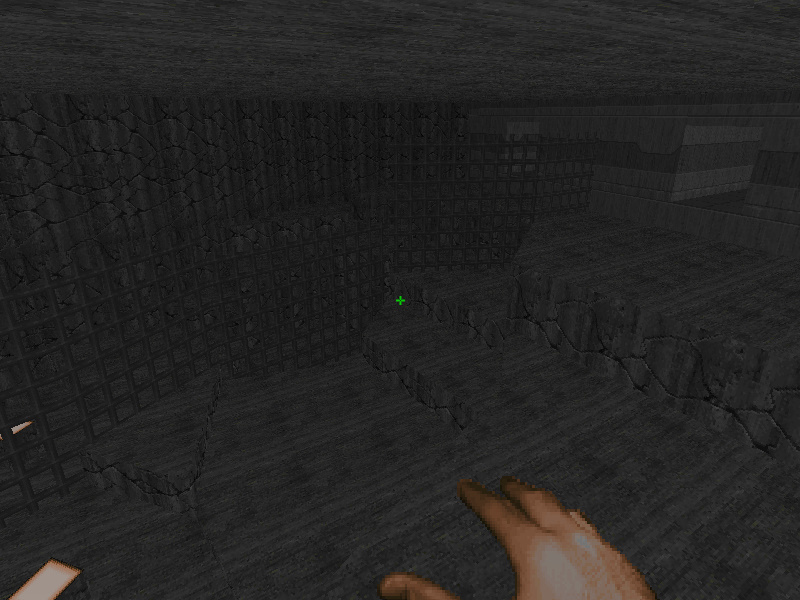 added screenshots of Phendrena's pending entry, "Monochromatic Nightmare." 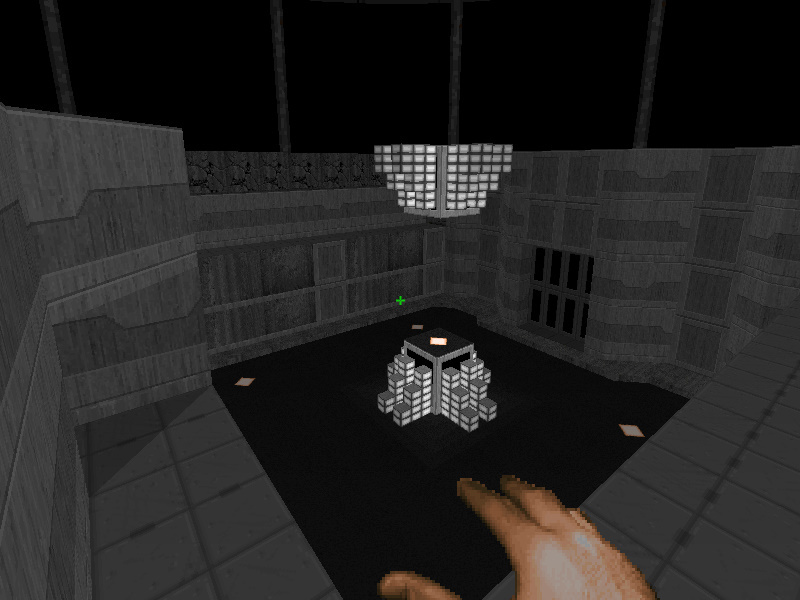 Phendrena updated the link to his WIP entry, "Monochromatic Nightmare" to V0.25. added Obsidian pending entry, "Good and Evil, Black and White" with a WIP link. added Death Egg's pending entry, "house." 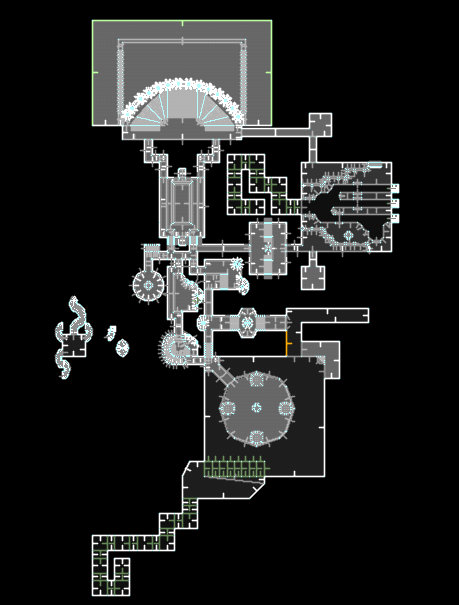 added WIP link to Death Egg's pending entry, "house." added FractalXX's 2nd entry, "Abuse." added WIP link to Phendrena's entry, "Monochromatic Nightmare." renamed CorSair's pending entry, "Water Realm / Aqua Regnumi" to "Ultramarine Kingdom." added Jaws in Space's 3rd entry, "Support Storage." added Phendrena's pending entry, "Monochromatic Nightmare." added gggmork's 2nd entry, "zdLightCrap." added four (4) new screenshots to Corsair's pending entry, "Water Realm" or "Aqua Regnumi." changed Da Werecat's entry named "Greyroom" to "The Primitive." added FractalXX's pending entry, "Abuse." 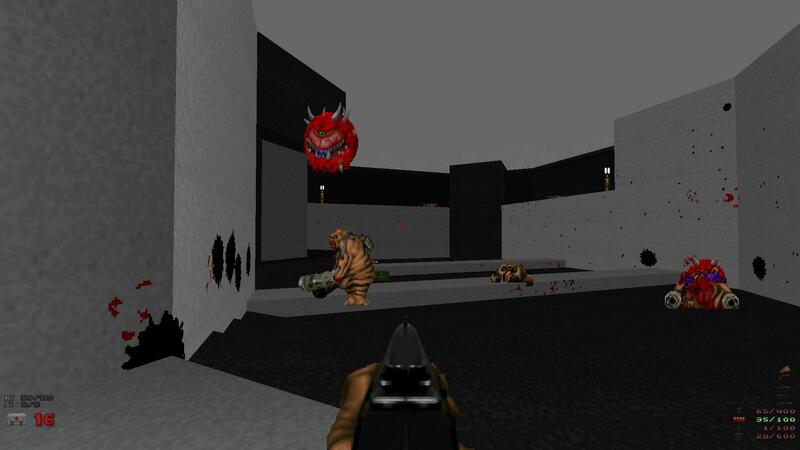 added Jaws in Space's 2nd entry, "Outpost Gamma." added CorSair's pending entry, "Water Realm" or "Aqua Regnumi." added sawd's entry, "Temple of Light." added Da Werecat's entry, "Greyroom." sawd updated his entry. "Temple of Light." added Jaws In Space's entry, "Control Centre." added Scientist's reupholstered entry, "Dada." added Cacowad's pending entry, "monocromatic chaos." added schwerpunk's pending entry, "WhiteRoom." added Membrain's 3rd entry, "Shortwave." 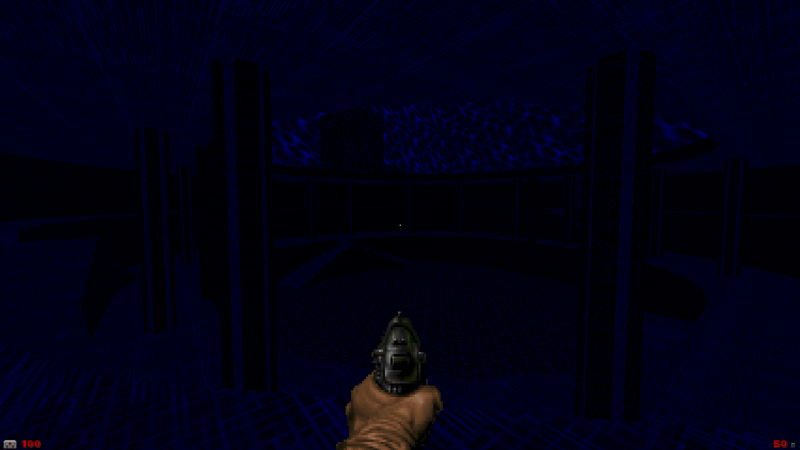 This is a little project to test your ability to make a fun map using only 2 to 4 Doom2 textures, depending on what level of challenge you're looking for. The two basic textures are FLAT19 (light grey) & CEIL5_1 (dark grey). Additional, allowable textures are FLOOR1_6 (red) & FLAT14 (blue). If someone does end up making a good map using only the first two textures, I might just have to soup up a medal for them. Finally, I suppose you could use other textures if you really wanted to, as long as you keep with the spirit of the project. 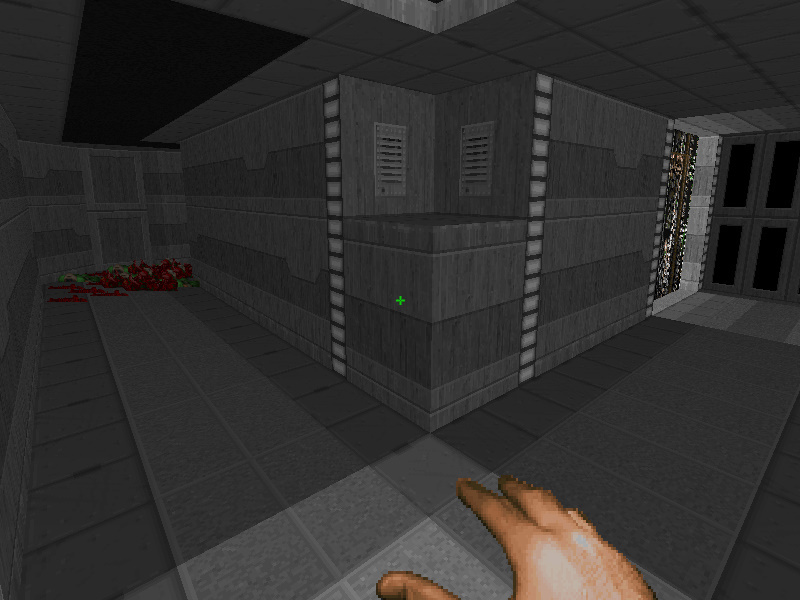 The spirit of the project is to focus on gameplay and ambiance while keeping the amount of textures to a minimum. 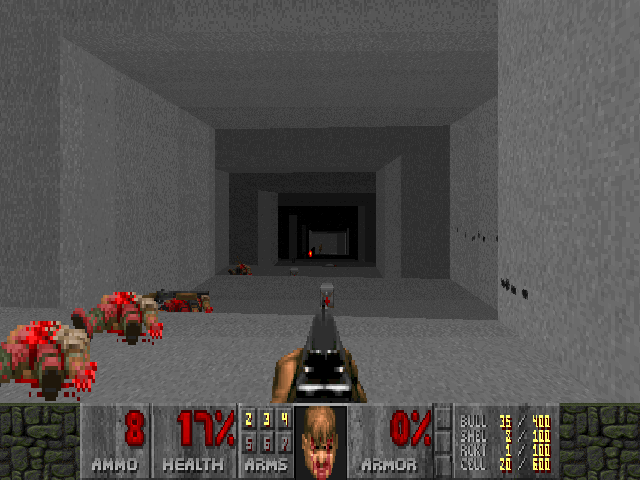 This will cause your use of map dynamics, lighting, elevation and object placement to come into primary focus. If you think you're up to it, just remember that while this isn't a speedmapping (or even stanismapping) project, these don't have to be complex maps. So while more advanced detailing isn't forbidden, it isn't the primary focus of the project, either. 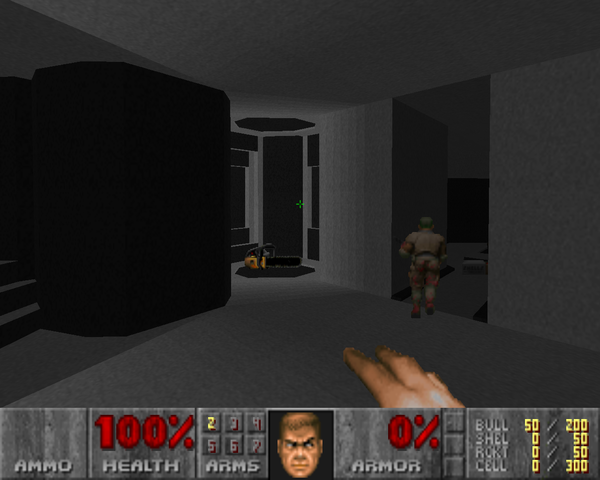 Other than minimizing texture use, there are no restrictions: You can use scripting, or any sourceport you want (EDIT: although ZDoom/Eternity is recommended, as it allows you to place flats on walls). Coloured lighting is also allowed. P.S. I came up with this project (though I'm sure I'm not the first) after a HDD crash lost me over eight months of progress on a WAD. After that I decided to get back to basics, because the idea of taking on a larger project again was too demoralizing. Sounds interesting, but what about wall textures? What about them? Are you asking if you can use something other than a FLAT* or CEIL* texture? That's really up to you, though in the interests of keeping to focus on the map's fundamentals I'd recommend something low on visual detail. Would be more fun if you let people select their own basic textures so that we don't get tons of grey maps. If anyone wants to use some other textures, then I'm not against that, as long as they keep within the spirit of the project. As I've mentioned in the original post, feel free to define some other textures; just try to keep it to a minimum. Or is there a restriction to applying flats to walls in your editor? 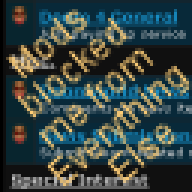 Not every sourceport allows that. 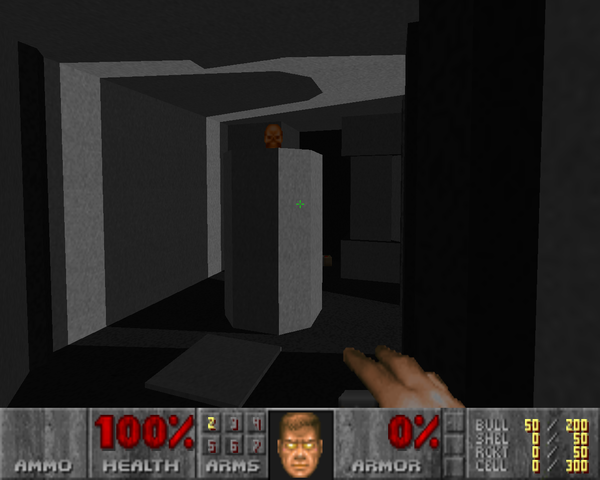 Ah, I've only ever mapped for ZDoom, so this is new to me. 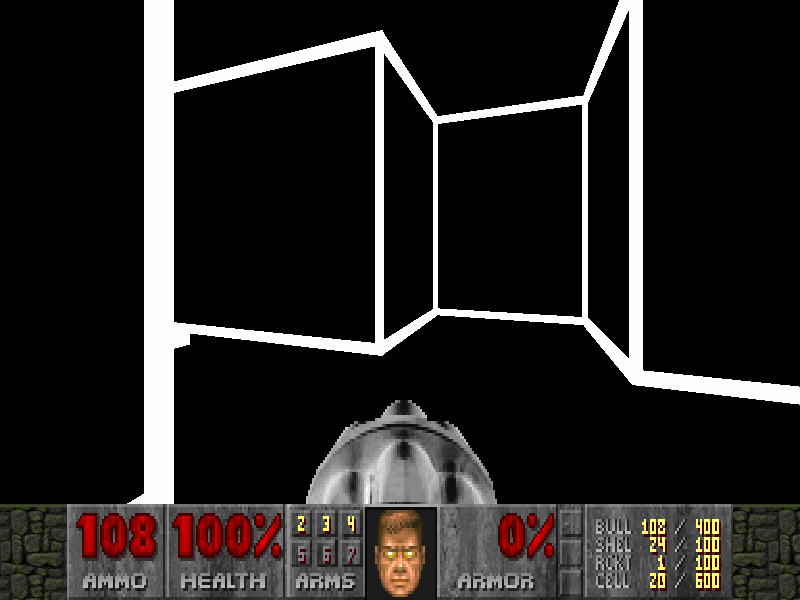 If this is the case, and you want to map for Boom (or whatever), then it's up to you to define what your textures are. 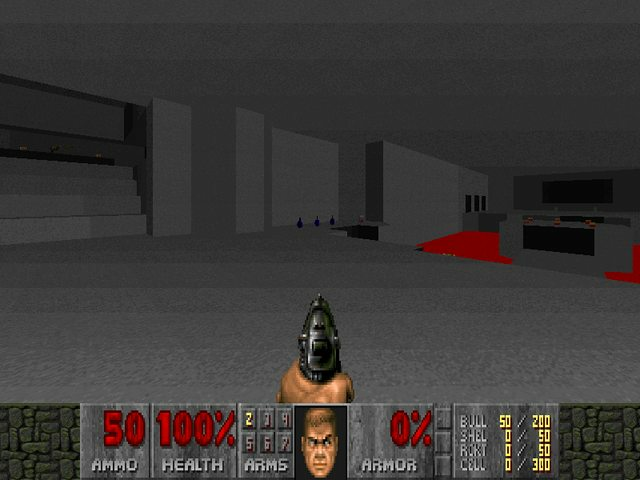 As I've mentioned before: try to keep it relatively simple, but more importantly keep to number of used textures as low as possible (I understand that people might want to differentiate secrets rooms, etc.). 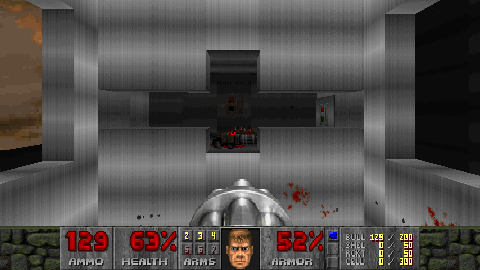 For this reason, it's probably in a mapper's best interest to also keep the map pretty short, so as to not tire the eyes of your fellow Doomers. I actually really like this idea. And I'm usually not one for community projects with a "twist". Making a fun, flowy layout is usually my favorite part of mapping, so maybe I'll see what I can come up with. Hmmm. I thought this was a bit silly at first read, but now I feel silly since I've actually mentally maintained that a good map layout should still be somewhat intriguing even in "greybox" form (i.e. strip out all the details and texturing and see what you have left). If nothing else, it might be interesting to try this just do a full prototyping of a map in this manner. One super-important question, though: is sky allowed? I'd like to see it even if it ends up being just a black flat sky or somesuch, since that will allow for much more interesting architecture without really taking away from the rules. 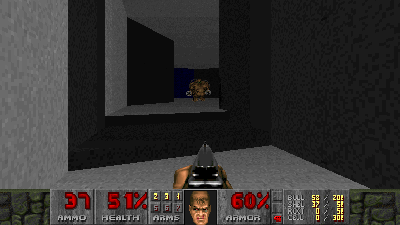 Finally, it might also be a good idea to put together a quick texture wad that adds the mentioned flats as wall textures, since the current "any port is allowed" line actually translates to "you need to either use ZDoom or Eternity" since they're the only ones (AFAIK) that support flats on walls. 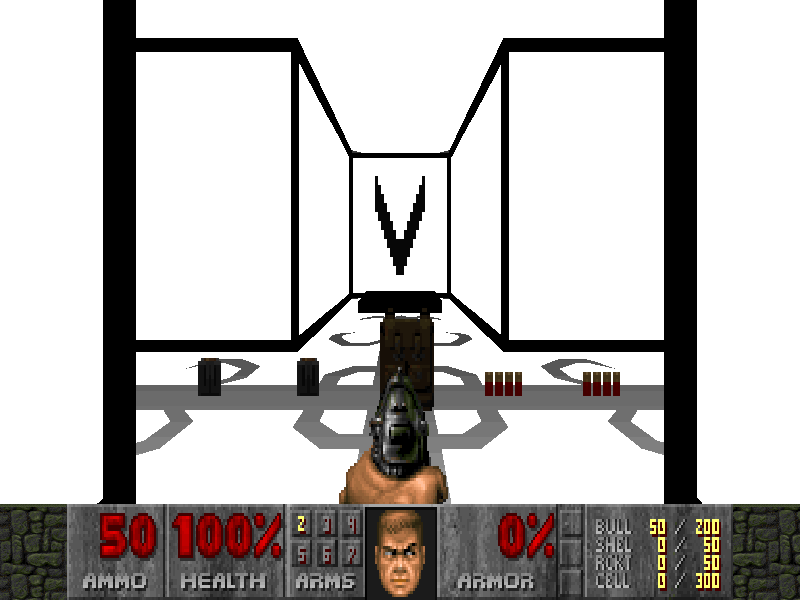 Might be best to include 64x128 and 64x64 variants as well, since the former is required for vanilla and several ports to render textures on walls without tutti frutti and the latter will even the playing field a bit since otherwise the ZEternity maps would be able to use 64x64 midtextures while the others could not. 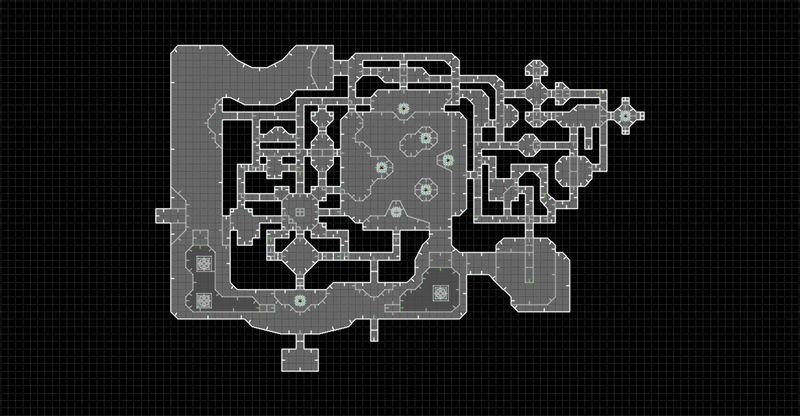 I've already made a technically monochrome map. It's Map31 in Alien Vendetta (with Gemini, who made the other areas). The green area. While the map isn't entirely monochrome each area more or less is. I do feel that whilst there should be a restriction to this, the author should be able to choose the textures/flats he/she wants to use. 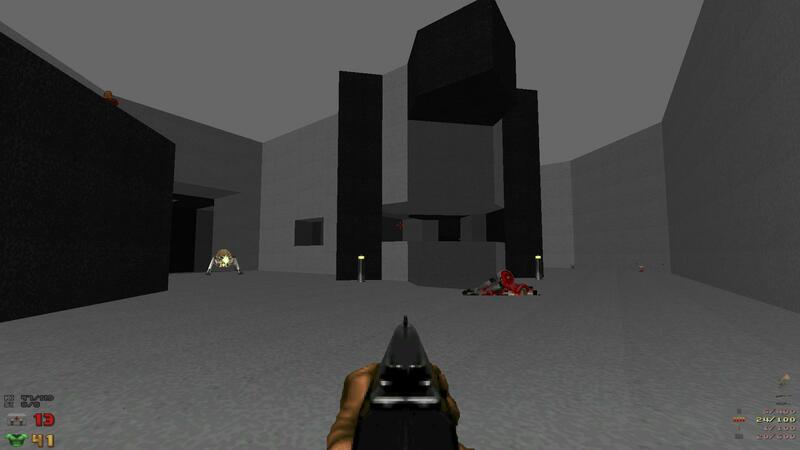 Eternal made some cool 2x2 maps (2 textures and 2 flats). Im planning a 2 textures, 2 flats, 2 monsters project for 2013, but don't tell anybody. I actually really like this idea. 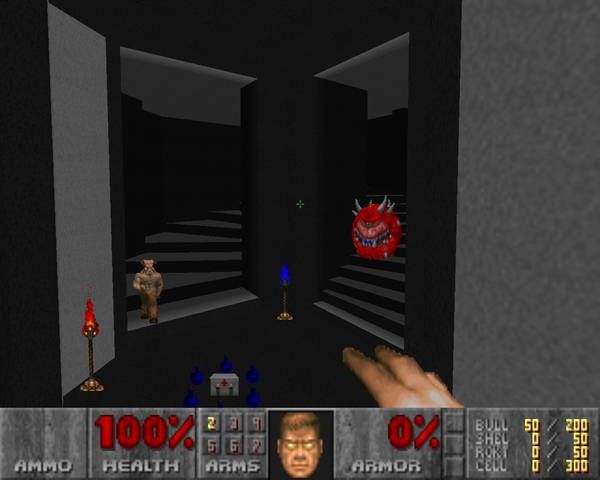 Maps will rely on architecture and lighting for aesthetics, and will probably turn out quite abstract. I think someone should put together a texture wad file with various flats as wall textures. My suggestion is to choose 10 to 12 flats (and let the mapper pick 2 to 4 or whatever. Though, I do think you should just pick some different, vanilla-compatible textures so everyone can contribute. 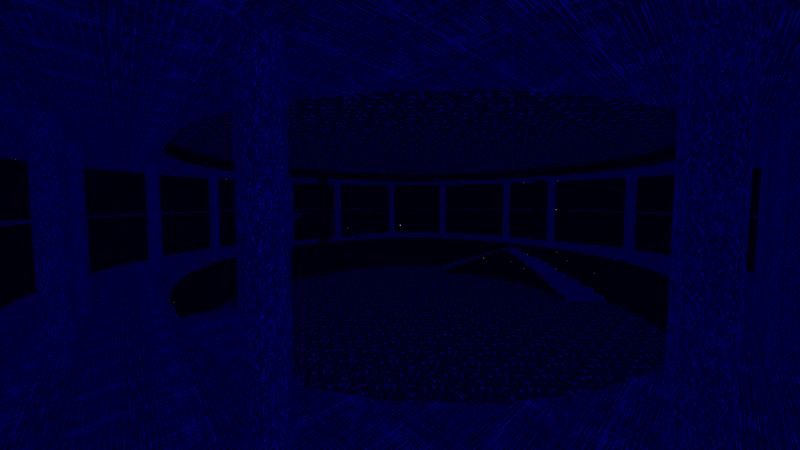 1px coloured lighting colours all the textures! I'll whip up a speedmap for this, sounds interesting. It's like doing the whole layout in startan and flood filling with ceil/flats instead. If it were up to me, I would suggest four textures. 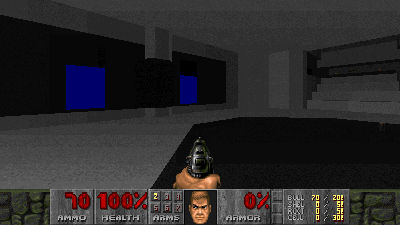 One grey floor, one grey wall, and the other two textures are mapper's choice. I would make an exception for skies. Buttons too, but only if mappers crop the texture to the button itself. 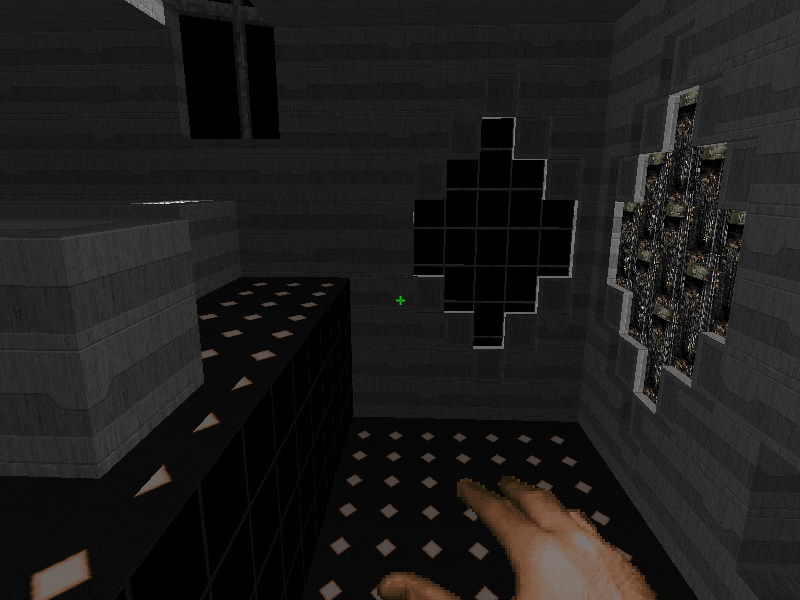 I've made 1 texture maps before and can predict certain visual cues being a problem/annoyance. 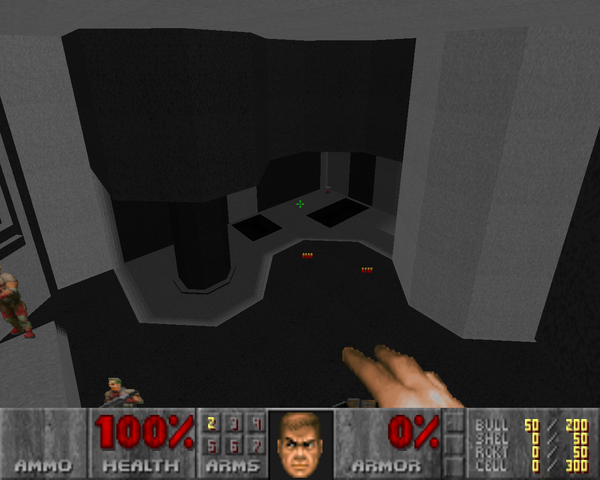 For example, there would be no visual distinction of what is a switch or key colored door or exit sign or damaging lava (unless one of the textures was defined as lava throughout the map to be obvious). But I guess figuring out ways around that would just be part of the challenge. 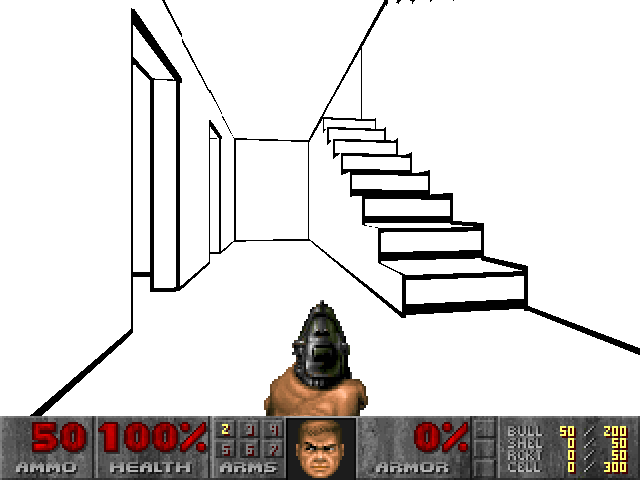 I would probably make everything walk over triggered like a dark area changing to a bright area when you walk over it to make it obvious it was triggered, instead of switches if I had no switch textures. i will join if i will have some time. I was thinking a while back to make a map based on the monochrome level "Warped Void" from Wario Land 3 using the same music, level name and a few of its textures. Great feedback so far, guys. 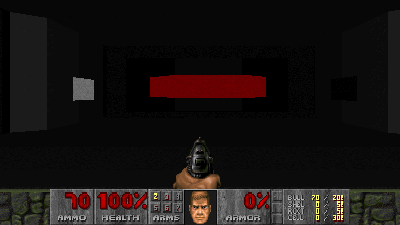 Okay, so if there's one thing I've noticed it's that Doomers Like Structure. What do you guys think? I know I'm leaving out quite a few good ones; I'm leaving it up to you guys to call out what textures you want to use before our volunteer gets to packing them. Agentbromsnor: Mirror's Edge with Demons. Yes. Xaser: Sky is allowed. That sounds pretty exciting, actually. 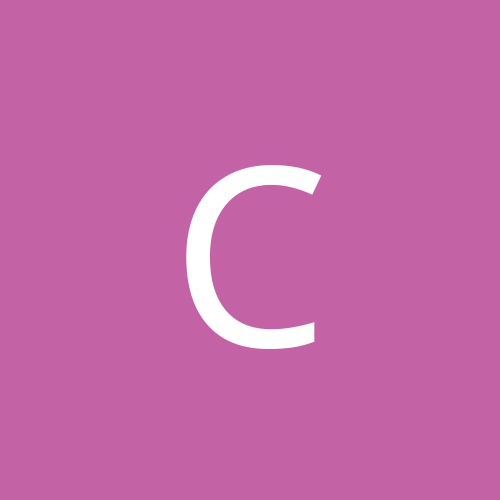 gggmork: I've already started on mine, and the little challenges you describe are actually really fun to solve. Bucket: As I've said, it's up to mappers to define their own limits. That said, the fewer textures used, the more kudos received. BloodyAcid: I can't wait to see what you come up with! 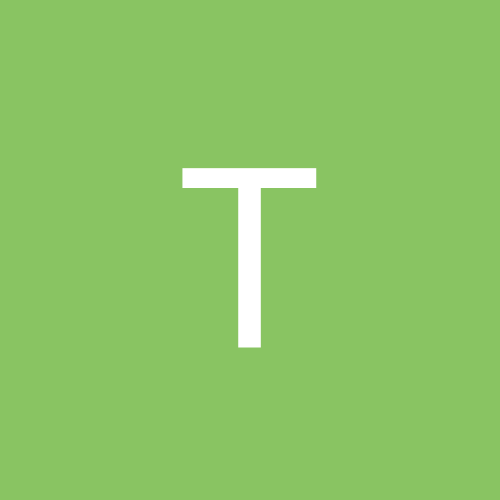 Pavera: Great to have you. Creative/Impressive idea. I'm going to see what can i come up with. Interestingly, this is the exact same technique I've begun using on my mapping exercises. Make everything in one basic color, with sky and liquids, and see how it feels. Might try something when I get home to my computer. Can these two textures be something different than shades of grey? 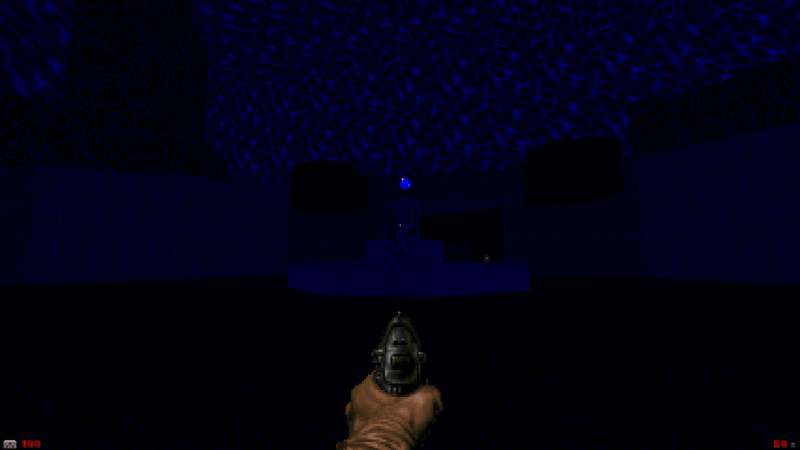 I've started making a map consisting only of ashwall2, one of tanrocks and their floor counterparts. I can easily replace them of course, but they fit the map better. This sounds a lot like the temple area of Phocas.wad. 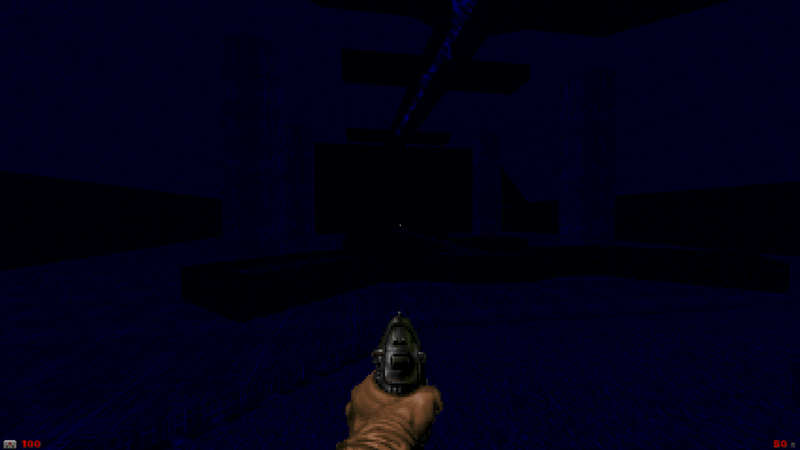 After briefly testing, CEIL5_1 is almost redundant because it looks about the same as FLAT19 with the light set dark (so you could use one texture in different light shades to decorate as opposed to different textures). 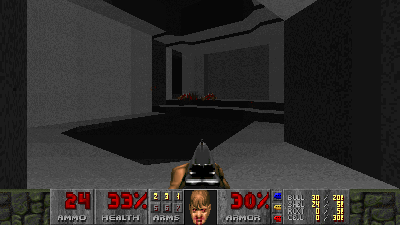 Also I would probably make a script to do light stuff, but that would make zdoom required for any maps in doom in hexen format w/ scripts. I think you should use custom plane textures for this, it will get the effect across in alot more powerfull way. 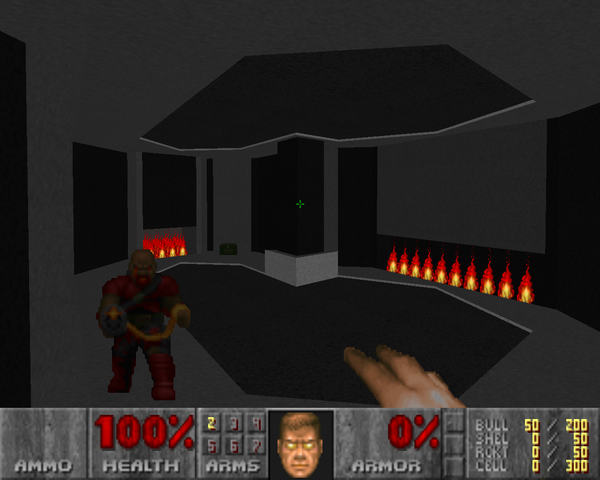 Doom's own textures have a tendancy to look a little grayish IMO. Monochrome Mapping Project is more of a catchy name than a hard and fast rule. 'Minimal Texture Project' just isn't as catchy. Of course, mostly grey (perhaps with some sparse colour, to delineate liquids, teleporters, etc.) 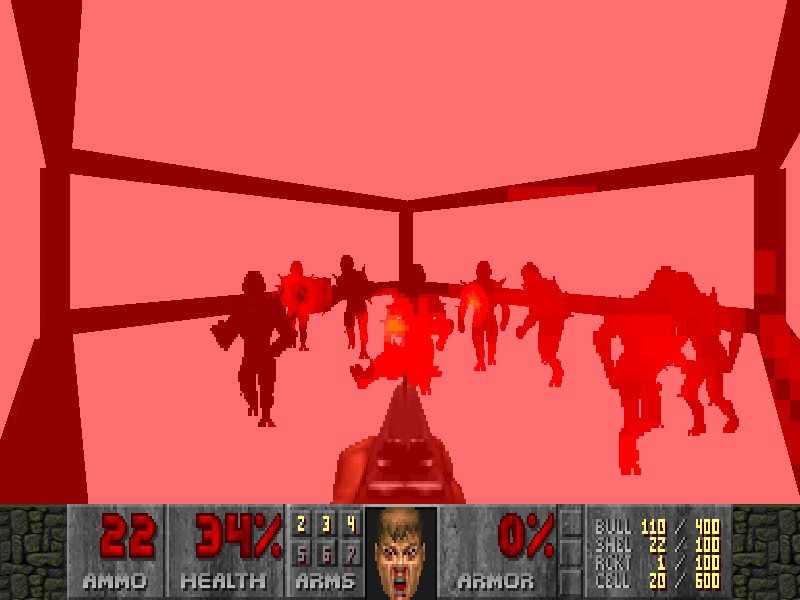 was how I envisioned the maps looking. Really, I'm fine with almost anything, as long as it conforms to the spirit of the project (see the second line of the OP for an outline of this). 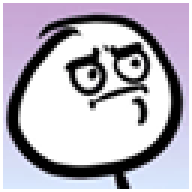 It's just your fellow mappers judging your work, so if you think your wad is interesting and minimalist, then it's likely that they will as well. 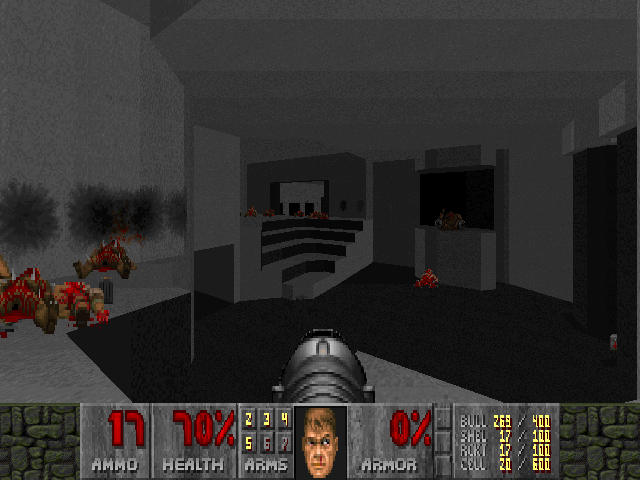 gggmork: I'd noticed much the same thing, especially in rooms, and especially if you're not above tweaking the individual light levels of sidedefs and ceilings. 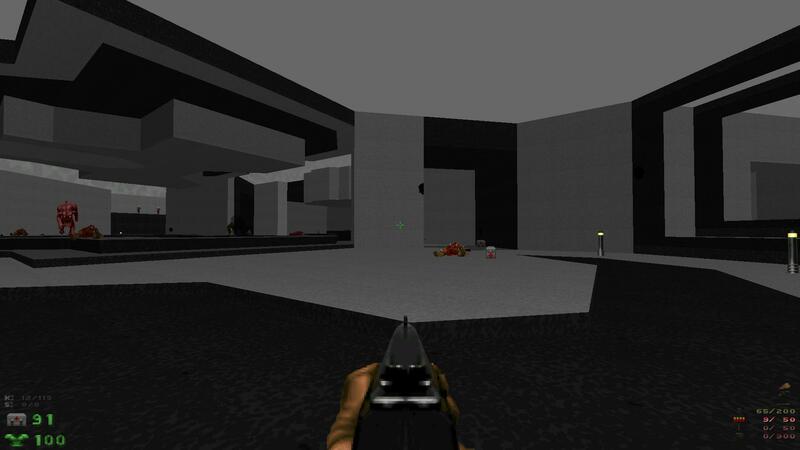 Membrain: That's actually how I got the idea for this project: I started making a map focusing on fundamentals only; decided it looked pretty interesting, and though I'd suggest a project to you boys. I'm delighted to see so much interest. 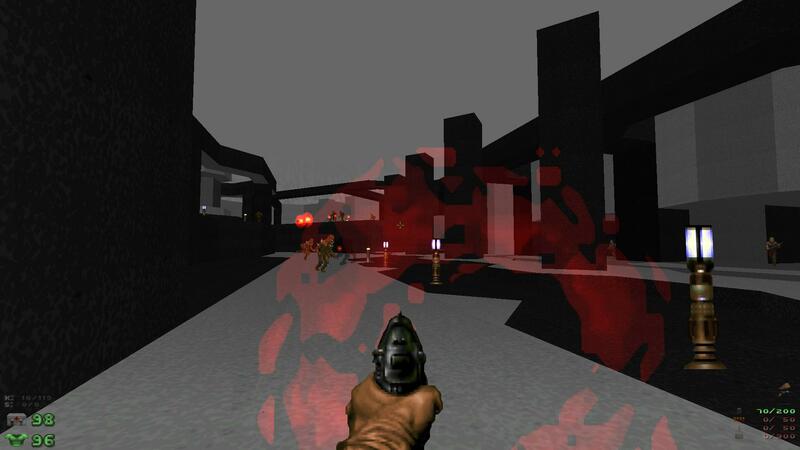 FractalXX: I'd like to see mappers find a creative way around The Switch Problem before resorting to including a whole new texture just for player-usable linedefs (for instance, start the player in the room with a tiny, blinking sector halfway up a wall; make it so they can't progress until they 'use' it; they'll figure out quickly that this is what a switch looks like). 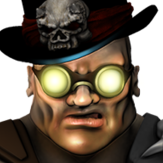 gggmork suggested changes in light levels to indicate something being activated/changed, and I will admit right now to having blatantly stolen this great idea.